Bike touring isn’t a fashion show, but I still prefer to look as smart and understated as possible when I travel. 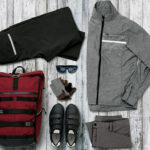 Technical outdoor gear seems to be the best compromise between styling and performance – there are now lots of manufacturers making clothes with minimalist styling. The best thing about techwear is that you can ride comfortably and walk around cities without standing out too much! 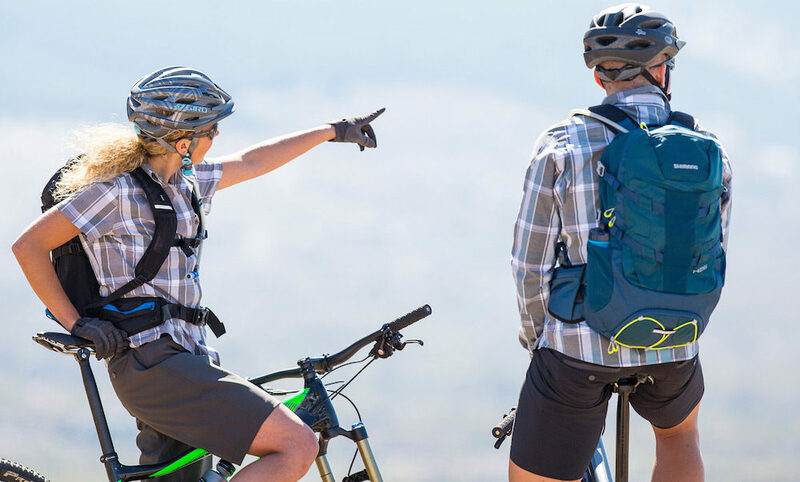 Shimano has just released a new technical cycling clothing range called Shimano Explorer Transit which is designed to work just as well on and off the bike. 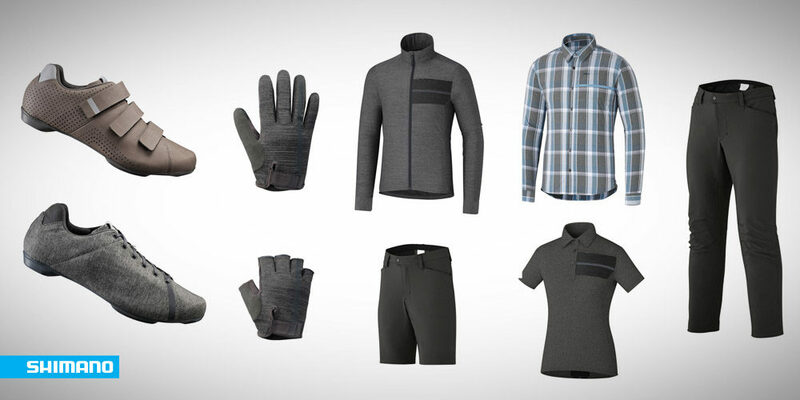 The technology-driven range extends from jackets, shirts and pants, right through to gloves and shoes. All of the clothing uses anti-bacterial treated fabrics and incorporates subtle reflective panels that disappear in the daylight, but light up after dark when light bounces off them. You’ll also find that every garmet is offered in a mens or womens cut. 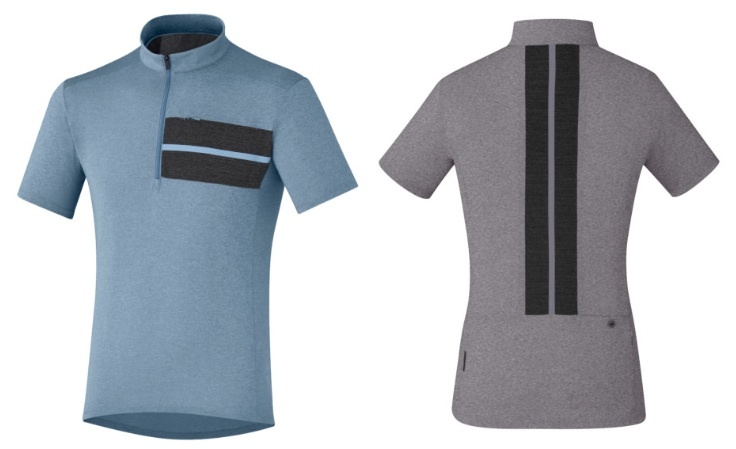 The Shimano Transit jersey and polo are casually-fitting garments. The jersey has a discreet rear pocket to stow a few goodies, while both the jersey and polo have a front pocket too. 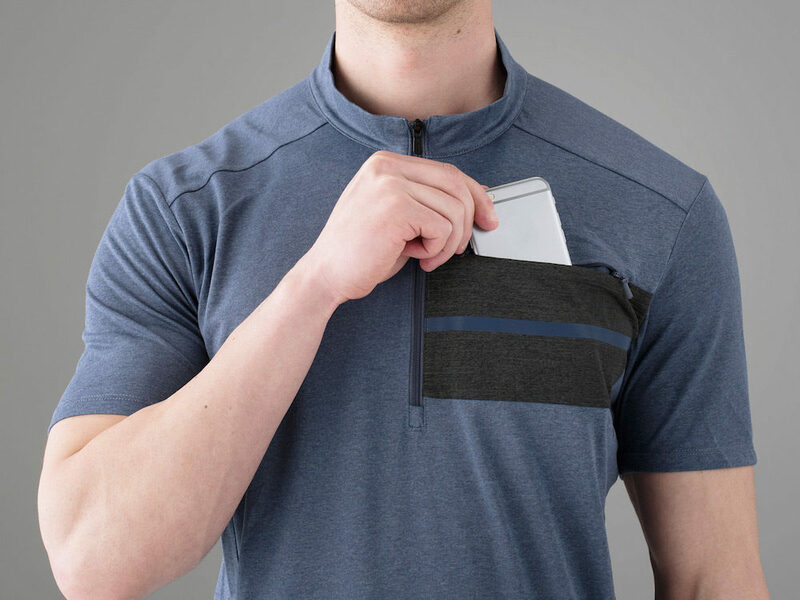 The Shimano Transit jersey is minimalist and loose-fitting. 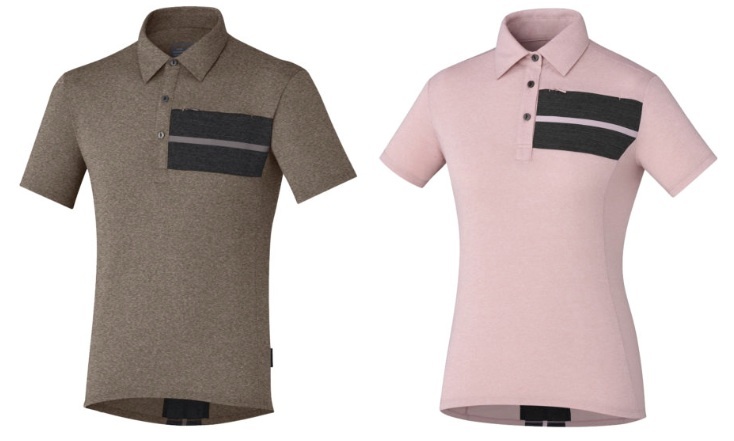 The Shimano Transit polo is an even more casual but sharp-looking option. The Shimano Transit Windbreak jacket has a water repellant finish, an adjustable waist band and roll-up sleeves. That should make it quite a versatile bit of kit. 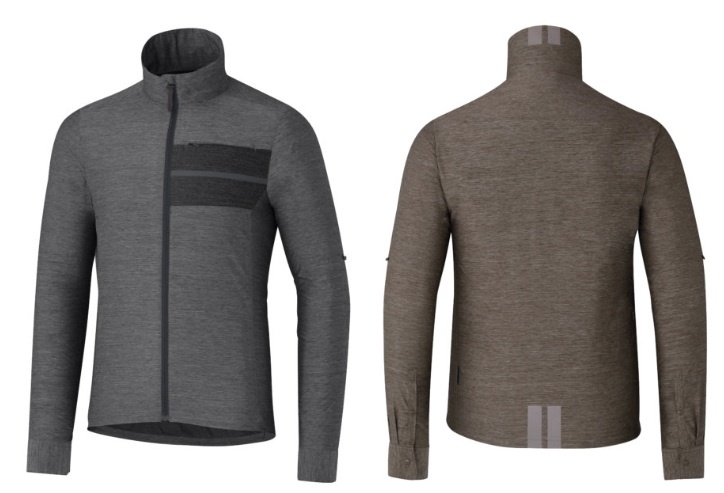 The Shimano Transit Windbreak jacket has a water repellant finish. A really casual outdoorsy option is the check shirt. This cycling shirt offers great UV protection and is odour-resistant. It comes with either long or short sleeves. 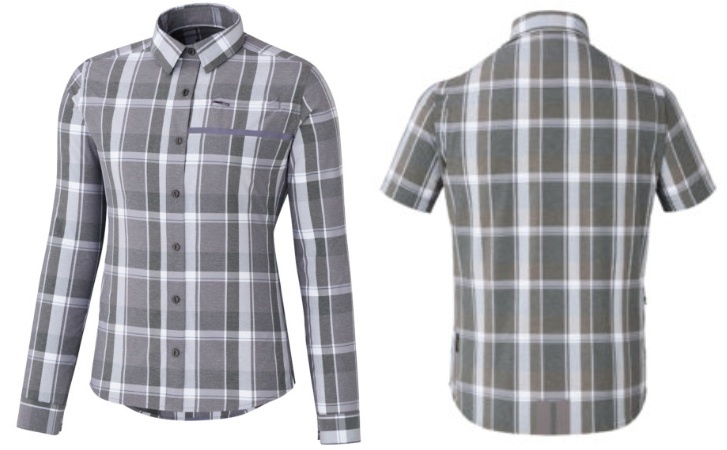 The Shimano Transit check shirt is a more casual option. The Shimano Transit pants and shorts offer stretchy fabrics, deep pockets and even a water repellant coating – you can expect these materials to dry really quickly. The pants incorporate a roll-up cuff for additional chainring clearance. 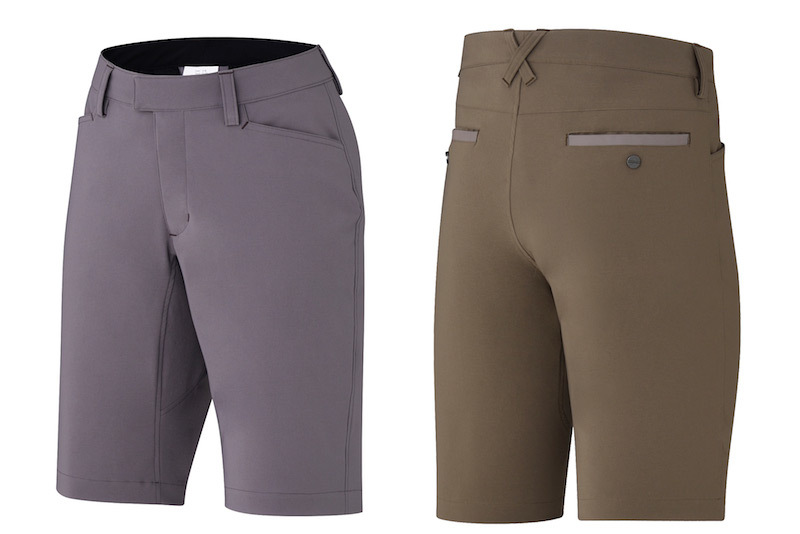 The Shimano Transit Path Shorts. 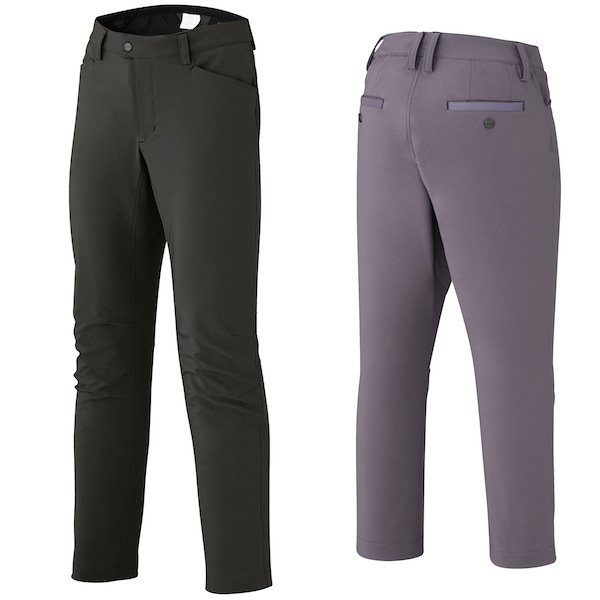 The Shimano Transit pants are water resistant. It wouldn’t be a cycling clothes range without matching gloves. The Shimano Transit gloves are simple, padded and the full-finger version features touchscreen friendly finger tips. The Shimano Transit Glove range matches the rest of the kit. 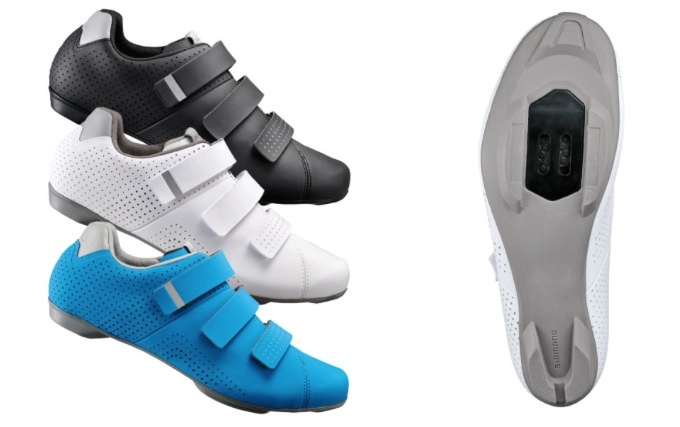 Shimano has three different styles of shoe for bicycle touring. All compatible with Shimano SPD mountain bike pedals, the shoes range from ‘classic’ to ‘sporty’ to ‘outdoorsy’. The RT5 is the highest performing (but also sportiest) with its perforated, breathable upper. It will be available in black, white, blue and beige. 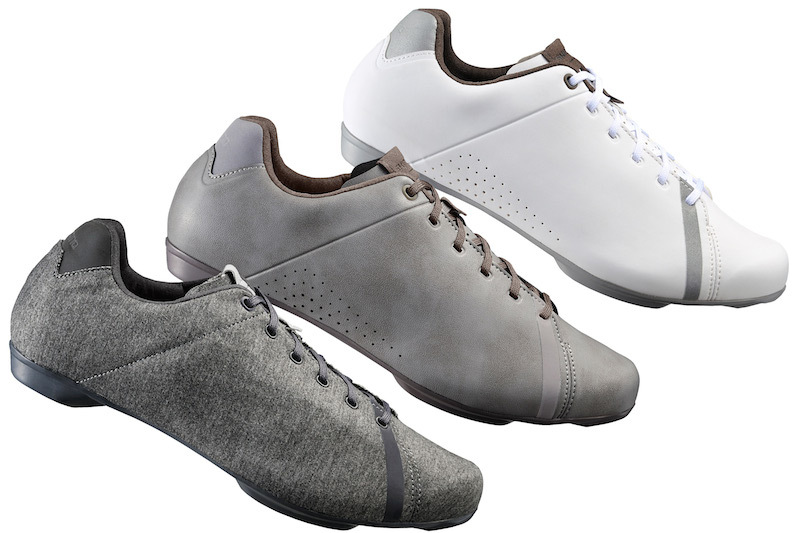 The RT4 is a retro lace-up style shoe that comes in weathered gray or white, or a patterned fabric in dark or light gray. The new Shimano RT4 shoes are chanelling cycling shoes from the past. The new Shimano RT5 shoes with velcro straps. The Shimano MT3 shoes are designed with grip in mind, allowing you to walk through rough, rocky and muddy terrain. They should be a great shoe both on and off the bike, and given their rugged design should last the distance. The new Shimano MT3 shoes are designed to be able to be walked in off-road. If you’ve kept up to date with this website for a while, you’ll know that I think SPD sandals are the best touring shoe for warmer climates! One of the most exciting things for me is the new Shimano SD5 sandal which offers even more ventilation than the outgoing model. 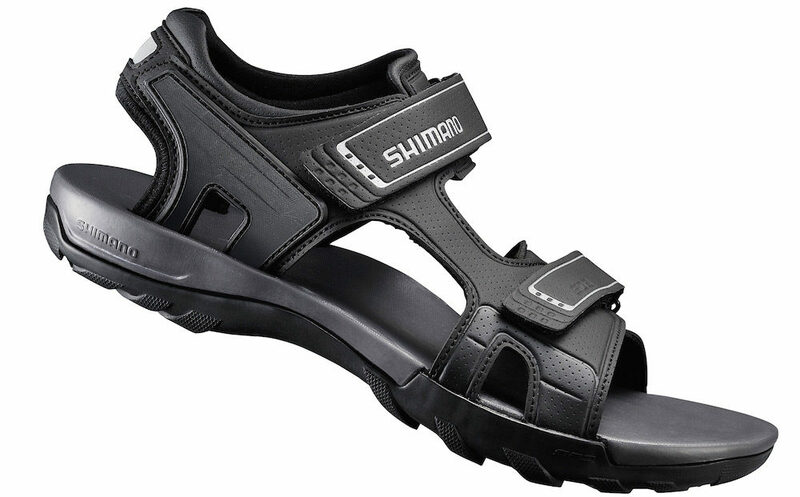 The new Shimano SD5 SPD sandal is a great touring option for warmer climates.